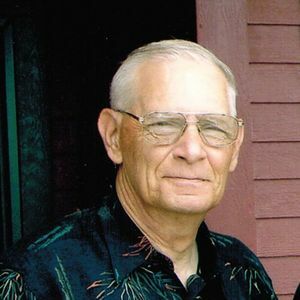 TAMPICO, IL – Jan A. Weinrich, 73, of Sterling, IL, died Thursday, December 22, 2016, in Sterling, IL. Jan was born July 28, 1942 in Urbana, IL; the son of Jack and Kathryn (Prentiss) Weinrich. He married Kathleen A. McNinch on December 20, 1968, in Tampico, IL. She preceded him in death on April 8, 2004. He was a veteran, serving in the U.S. Navy. He was employed by the N.W.S. & W. of Sterling, IL, for 35 years, retiring in 2001. He attended the Cross Trail Church of Rock Falls, IL. He was a member of the Steel Mill Union. He enjoyed bowling and had an appreciation of fire arms and enjoyed target practice. He also enjoyed his morning coffee at the Sterling McDonald’s. Survivors include his daughter, Jessica A. McLean of Paddock Lake, WI; his son, Jason A. Weinrich of Rock Falls, IL; 3 grandchildren, Jerika A. McLean, and Karmen and Kegan Weinrich; his mother, Kathryn Weinrich of Sterling, IL; and 3 brothers, S. Craig Weinrich of Jacksonville, FL, Todd Weinrich of Sterling, IL, and Kevin Weinrich of Rockford, IL. He is preceded in death by his father and his wife. A gathering of friends and family will be 3 – 5:00 P.M., Wednesday, December 28, 2016, at the McDonald Funeral Home, Rock Falls, IL. A memorial service will follow at 5:00 P.M. at the funeral home, with Pastor Jeff Coester, Sr, officiating. Cremation rites have been accorded. Inurnment will be held at the Tampico Memorial Cemetery, Tampico, IL, at a later date. A memorial has been established for Lung Cancer Research. To leave an online condolence please visit mcdonaldfuneralhomes.com.